In 1974, Allen Sides began building custom loudspeakers and leased a garage in Santa Monica as a hi-fi demo room. This garage was within steps of the pacific ocean and was situated on a street appropriately named Ocean Way. Since he knew exactly what kinds of sounds were most impressive on his speakers, Allen did limited live to two-track recordings as demo material. Subsequently, he sold numerous speaker systems to musicians and others within the industry thanks to those killer demo tapes. During these speaker demos, many people became more interested in the recordings than the speakers and before long, those clients were asking Allen to make their recordings sound like his demo tapes. So in order to service those clients, Ocean Way Recording Studios was born. 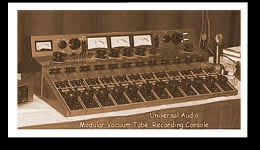 But in order to be a proper studio, Allen needed a recording console. 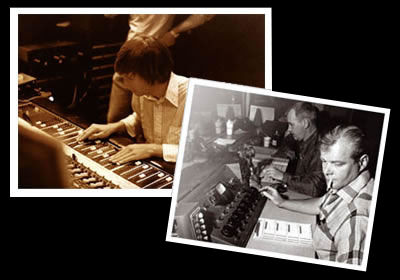 And this is the point in time that the legend of Ocean Way truly begins - how Allen ended up purchasing Western Recorders' original tube console and came face to face with Bill Putnam. Putnam was a true renaissance man in the world of sound and music. His combined skills as a record producer, engineer, inventor, writer, singer, technician, studio owner and businessman are almost unparalleled to this day. A pioneer in recording studio acoustics, he was involved in the early development of stereophonic recording and is acknowledged to be the first person to use artificial reverberation for commercial recordings. He developed the first multi-band equalizers, and with his companies Universal Audio and UREI, was responsible for the development of classic equipment like the 1176LN, LA-2A, and UREI® Time Align monitors. By the mid 50's, Putnam owned and operated the largest independent recording facility in the country, Universal Recording in Chicago. But with a large chunk of his business moving west, clients urged him to open a Los Angeles facility. Finally, in 1957, Bill moved to 6050 Sunset Blvd in Hollywood and started constructing brand new studios for his newly named company, United Recording Corp.
United quickly grew to to three studios, a mixdown room, three mastering rooms and a small manufacturing plant for the equipment business. In the early 60s Western Recorders, one block away at 6000 Sunset, was acquired and renamed United Western. 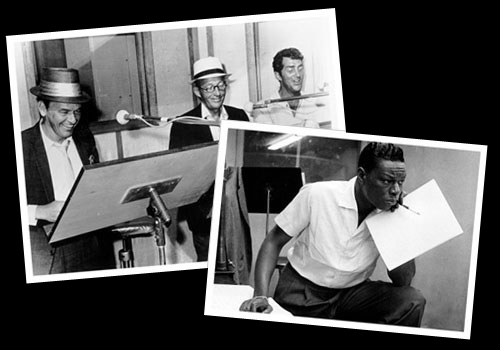 The studios were jumping 24 hours a day, hosting superstars like Frank Sinatra, Nat King Cole and Ray Charles. So how was it that the worlds of Allen Sides and Bill Putnam come together at this key moment? Allen explains, "At the time I needed a console, I heard that Bill Putnam's manufacturing plant was running short on production space and that UREI's manager Ray Combs needed to clear some space, much of it occupied by all the old equipment from United Western Studios. I knew Bill was out of town so I went to the studio and said to Ray "How about I give you 6,000 bucks for all this junk including a trailer in the back with the old Studio 1 console in it. "He said, "I'll take it - get this stuff out of here." "Obviously, one man's junk is another man's treasure and in this case, I was able to acquire some old Fairchild limiters, UA tube limiters, Macintosh tube amps, and enough equipment to completely fill my garage studio. It was a most handsome treasure and it was this deal that really put me in business." "However, there was a slight problem. I didn't actually have the 6 grand, so I wrote a check, picked up the stuff, and within six hours had sold enough of the gear to cover my check. When Putnam returned and found that his manager had been snookered into selling all this equipment for $6,000, he said he wanted to meet this guy. 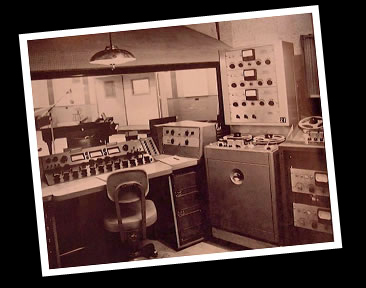 I got a call from Ray that Bill was upset because Ray had sold the stuff so cheap, especially considering that Bill had a buyer for just the Studio 1 console for more than I paid for everything." An interesting sidelight is that Allen had a summer job as a runner at Western Recorders in 1969 but never actually met Bill. Needless to say, when Allen went in to meet Bill, he had no idea what to expect. And as Allen explains, even in his wildest dreams, there was no way to ever anticipate what would take place. "When I walked into Bill's office, he gave me a long, stern look. That look eventually turned into a smile and he proceeded to offer me the exclusive rights to sell all surplus equipment for all his enterprises. Bill and I just clicked immediately and we became very good friends and business partners in the following years. Bill and I started buying out bankrupt and closed down studios throughout the country, including CBS and Wally Heider Studios in San Francisco, and RCA studios in Hollywood. Imagine being able to pick your pianos from 25 Steinways, your EMT's from 50 plates, and your tube mics from literally hundreds. It was an astonishing opportunity and I was a lucky dog to be at the right place at the right time." By 1976, things were going great at the OceanWay garage, with sessions working around the clock. Unfortunately, trying to keep a low profile while running a full scale commercial studio in a quiet residential neighborhood proved to be much more tricky. When the artists would leave at two or three in the morning, they sometimes were a little on the loud side. Not long after that, Allen's lease was canceled and he was given two months to get out. Although he had many months of bookings scheduled, Allen had no where to go. As fate would have it though, a lease was just about to expire for Bill Putnam's Studio B in the United building. When Sides approached his friend about leasing the studio , Bill offered him a "sweetheart deal" on the space. Allen quickly redesigned and rebuilt the Studio B control room, and moved all his equipment in. Studio B was an astounding acoustic space and Allen was thrilled to get his hands on it. Bill felt that of all the rooms he had designed and built, this was his favorite and he was very pleased that his protégé would carry on the tradition. 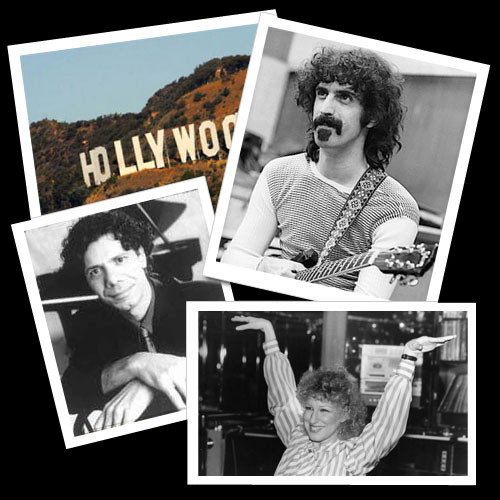 Early sessions ranged from Neil Diamond, Chick Corea, Bette Midler, and all the way to Frank Zappa. It was also during this time Allen began buying close to a thousand tube microphones from overseas. The European studios and broadcasters were dumping loads of "antiquated" tube mics for brand new phantom-powered transistor mics. He carefully went through every mic, picking the absolutely best of the best and selling off the rest. 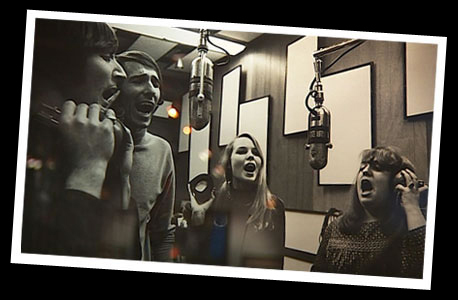 This is how, along with the mics from the previous studio buyouts, Ocean Way amassed one of the largest collection of tube mics in the world. In 1982, The United Western Studios were still functioning, but because of health problems Bill had not been active in the operation for a few years. It was at this time that Bill also leased Studio A to Allen. Allen made a few changes and Studio A immediately became one of the most popular rooms in town again. One of the first projects was Lionel Ritchie's "Can't Slow Down," which sold 25 million records. A couple of years later, Allen finally talked Bill into selling him the United building at 6050 Sunset. It was a little difficult, because Frank Sinatra was part owner and Bill had to get Frank to agree to sell it. Several years after that Bill Putnam sold his primary Companies and the new owners agreed to sell Allen the Western Building at 6000 Sunset and all the equipment it contained. Allen remembers walking down the halls of United Western studios for the first time - when he was 16 years old and it was the hottest studio in the country. "I certainly never dreamed at that time that I would eventually own the place!" In 1988, Allen was beginning to run out of space and luckily was able to purchase Record One Recording, which had been immensely successful with records like Toto's "Rosanna," Kim Carnes' "Betty Davis Eyes," and Linda Ronstadt's "Heart Like A Wheel," Sides moved in quickly, re-did the monitor systems to be more compatible with Ocean Way, and opened for business with two studios that contained very nice custom API consoles. 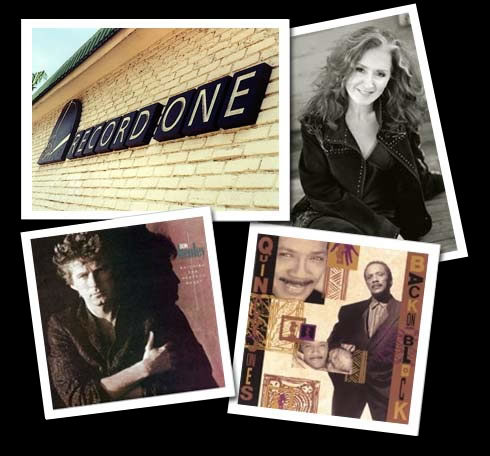 Early projects included classic recordings by Don Henley and Bonnie Raitt. Ocean Way now had seven rooms operating in LA plus their rental division "Classic Equipment Rentals" and "Ocean Way To Go," which specializes in setting up complete studios in houses anywhere a client may choose. 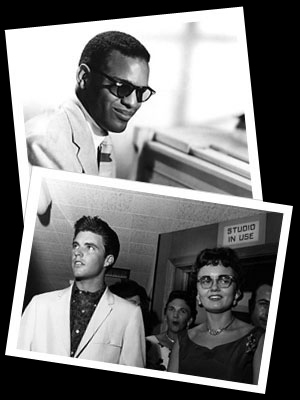 Grammy winning producers like T-Bone Burnette, Don Was, Dr. Dre, Jack Joseph Puig and Rob Cavallo became regulars. In the early 90's, Allen wanted to expand into Nashville. Along with partner Gary Belz, he found a 1850's Greystone church and refectory building on a large lot . It was owned at that time by an odd evangelist named Tony Alamo, who was in jail for tax evasion and a number of other questionable activities. It offered a remarkable opportunity for Allen, as he was able to design all three control rooms from scratch. In the past, he had generally been constrained to modify and reconstruct existing control rooms with space limitations that made it difficult to get everything he wanted acoustically. Outdoing even his Record One console, Ocean Way Nashville opened in 1996 complete with gigantic, 146 input discrete Neve console! 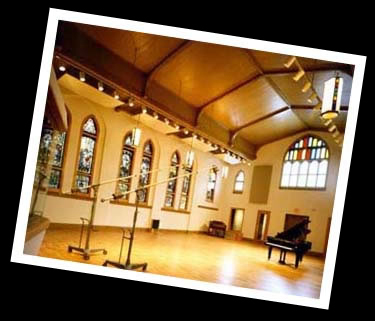 In early 2000, Allen sold the Western building and those studios have been operated by others for a number of years. And since he rarely had a chance to work in Nashville because of his busy Los Angeles schedule, Allen ultimately partnered with Belmont University's Mike Curb College of Entertainment and Music Business. The University not only continues to operate Ocean Way Nashville as a world class commercial facility, but also utilizes the studios as state of the art class rooms. 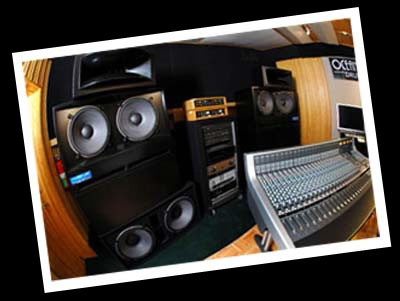 Currently, the Ocean Way family consists of ten studios, a mastering room, Classic Equipment Rentals, OWR To Go, Ocean Way Drums, and Ocean Way Monitor Speakers.